Synopsis: From the producer of Alice in Wonderland comes a new vision that turns a legendary tale into an action-adventure epic. The evil Queen Ravenna (Academy Award winner Charlize Theron) will rule forever if she can take the life of Snow White (Kristen Stewart), so she dispatches the Huntsman (Chris Hemsworth) to track her down. But the wicked ruler never imagined that the Huntsman would train the girl to become a brave warrior, skilled in the art of war. 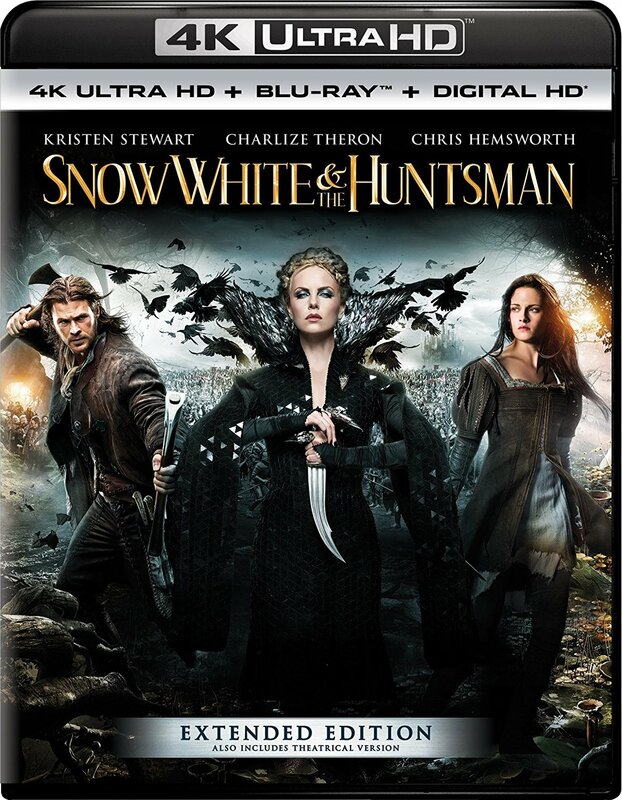 Filled with intense battles and spectacular visual effects, Snow White & the Huntsman is a thrilling experience that shouldn't be missed Shawn Edwards, Fox-TV.